Our engineers have many years of experience in installation of lifts as well as removing lifts when they are no longer required or outdated and need to be replaced by modern lifts. We have teams of lift engineers available across the UK to remove your lift as required and is carried out in a safe and professional manner. A site survey can be arranged to assess the lift removal and to discuss any requirements such as waste disposal means (skip etc). 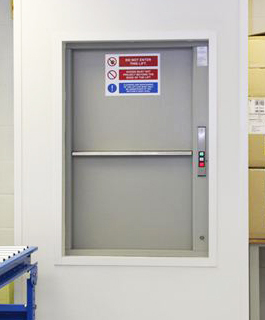 Our Service Lifts provides a Risk Assessment and Method Statement for every lift removal carried out to ensure all health and safety considerations have been met. We have quickly developed a reputation for provide a quality, safe, professional lift rip out service for a number of clients who require our specialised expertise. NOTE: Prior to lift removal we expect shaft fronts/enclosure to be exposed to allow engineers full access to the lift structure to make for an economic and safe lift removal.